The Memory/Fir Ally was founded in 1997 becoming an integral part of the Armenian Genocide Memorial Complex. 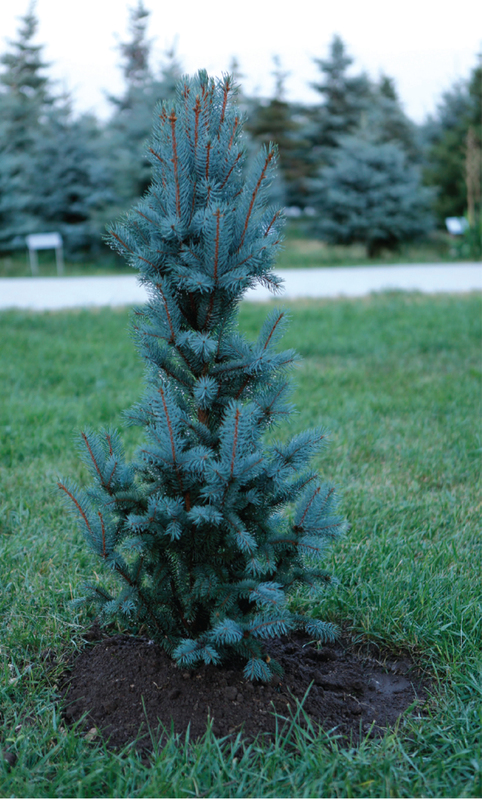 The fir-tree is considered to be the tree of eternity, so itвЂ™s not accidental that about 20 years ago it was decided to establish a memorial ally where about 200 trees are currently growing. Despite the unfavorable land conditions of the area, fir trees are growing thanks to day-to-day care, bearing a special meaning. The official visits of delegations from different countries to the Armenian Genocide Memorial since the declaration of independence of the Republic of Armenia in 1991 has became a tradition, and since March 16, 2002, the procedure for these visits is being defined by the Law on State Protocol Service. Official visits to the Armenian Genocide Memorial have become an inseparable part of the state protocol, with the consensus of the parties. 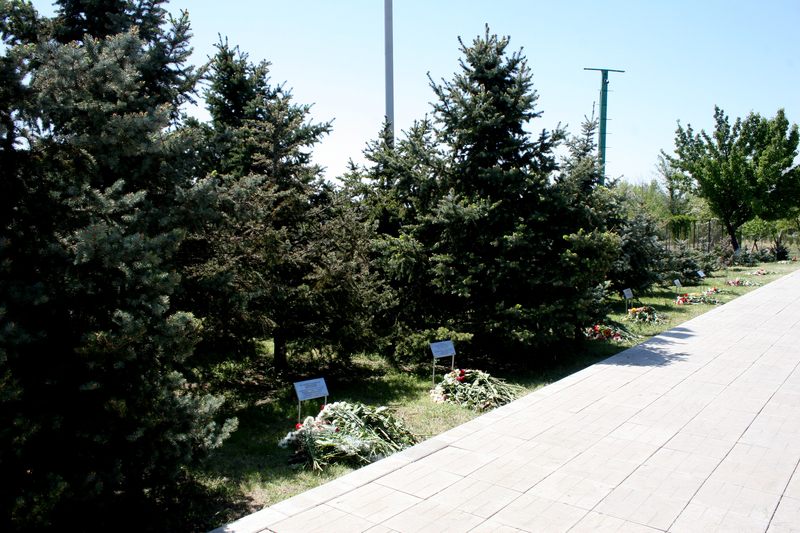 According to the RA state protocol, the following is an agenda for the delegations arriving in Yerevan on an official visit - to pay tribute to the memory of the victims of the Armenian Genocide, put flowers or wreaths at the memorial, visit the museum, leave a note in the book of Honorary Guests, plant fir trees at the Memory Alley. Presidents of many countries, religious leaders, parliament speakers, spokesmen, members of parliaments, governments and international organizations, world-renowned scientists, cultural figures, philanthropists who visited the Armenian Genocide Memorial Complex, also planted firs, fixing their attitude towards to the memory of the Armenian Genocide victims. 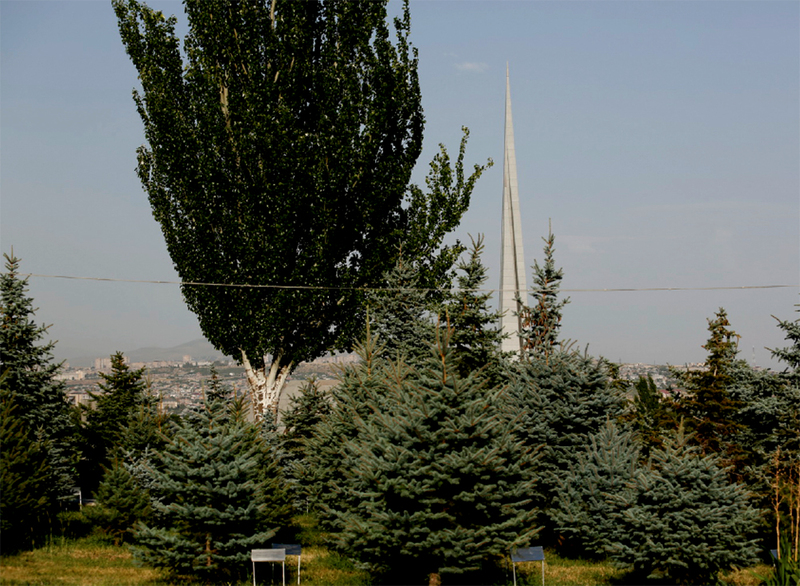 The fir-tree planted at the Memorial Park connects the visitor to the Tsitsernakaberd hill. 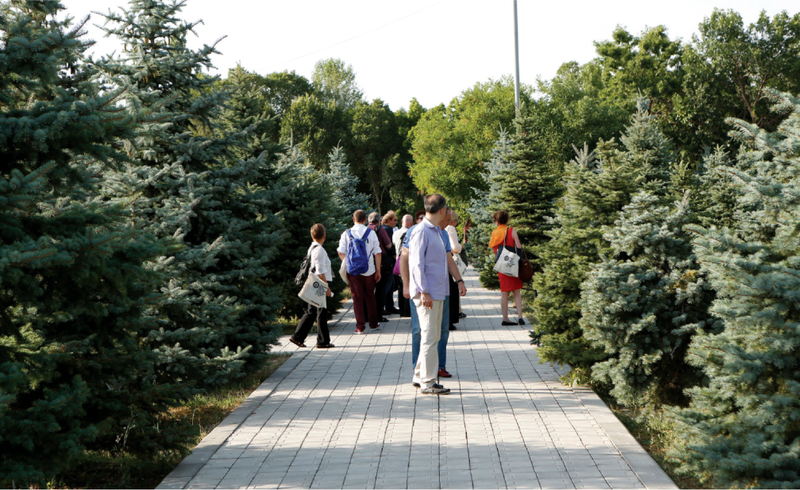 These people do not miss the chance to visit the memorial and water their own fir during their next visits to Armenia. 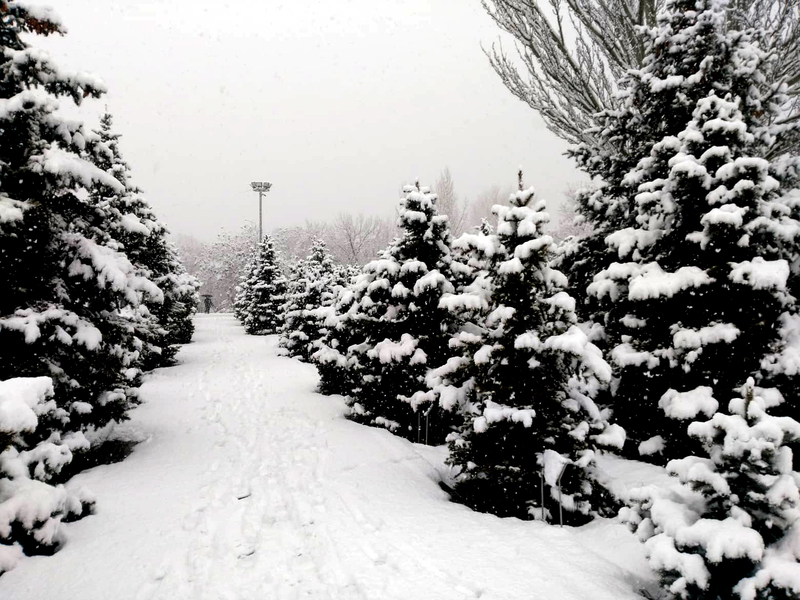 The Memorial Park is also of great interest to tourists as they walk around the area and get acquainted with the writs attached to the fir trees. 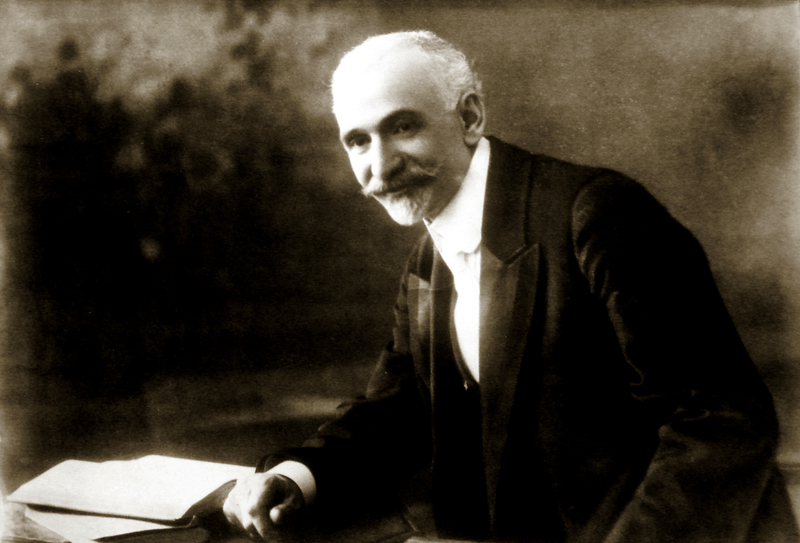 In the Memorial Alley a special place is hold by the firs planted by the heirs of praised missionaries and foreign figures, who had played an invaluable role during the Armenian Genocide in preserving and assisting the Armenians. 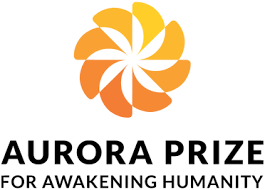 The first tree in the Memorial Alley was planted in 1997 by the US Senator Robert Dole in memory of an Armenian-American surgeon Hambar Kelekyan, a survivor of the Armenian Genocide. 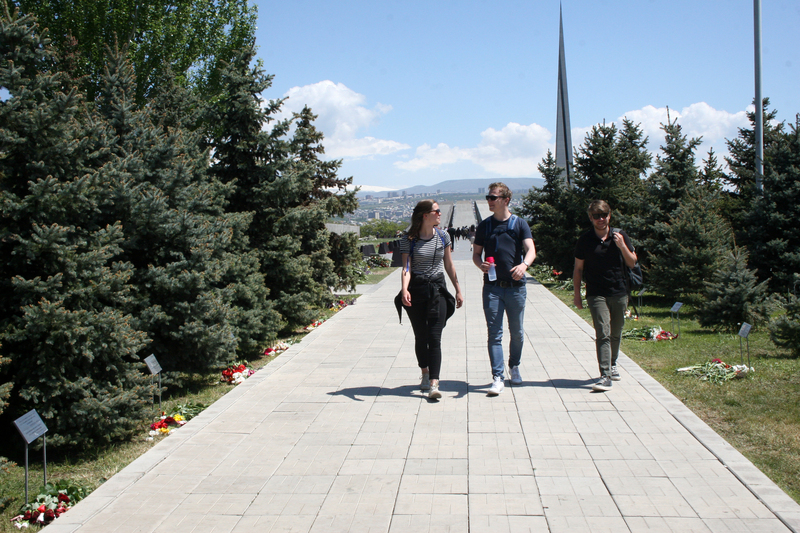 The Memorial Park, having a mission to protect and transmit the memory of the Armenian Genocide, bears also an educational component. This area covered with firs has become a unique place of memory and tribute. Together with the remaining green zone of Tsitsernakaberd Park it provides oxygen to the capital, having an important environmental significance. The territory is quite large, and consequently there is a necessity of additional financial and human resources for care. The Armenian Genocide Museum-Institute foundation presents a list of fir tree boards at the Memorial Park as of 1 January 2019. 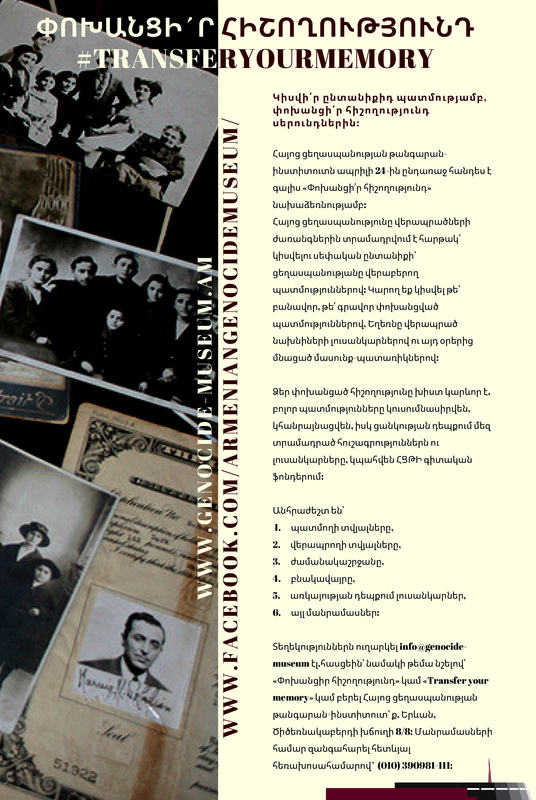 The list was prepared by Narine Hakobyan, a junior researcher at the Armenian Genocide Museum-Institute Foundation, Department of Study of Memoirs, Documents, and Press.